This could be anything from hiking around some of our country’s stunning scenery, to taking a leisurely walk around one of the many beautiful National Trust homes and gardens. 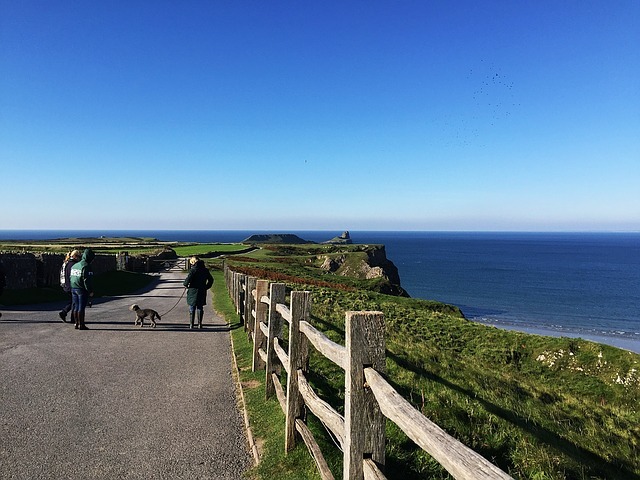 The National Trust have actually put together a feature on their top spring walks, and be your choice walking the dog, or hiking on the moors, there is something for everyone. Expert walking boots are vital for those who want to ramble or hike in comfort. Good walking boots and walking socks are worth the investment, and your feet will thank you with less or no blisters, athletes foot or aching arches. Walking boots are actually very sophisticated nowadays, with extensive research that goes into their design. The material, be it leather or fabric, will have to keep your feet cool and breathing, but also warm and dry depending on the conditions. Fabric walking boots are of course less resistant to water, so consider they type of conditions you will be walking in when choosing the material of your footwear. A good fit is essential for comfort and also the health of your feet, as well as your back, when walking. The boot should fit snugly at the front of the foot, and around the ankle, however you should still have room to wiggle your toes. if you are unsure of sizing, it is always a better idea to go up because thick walking socks can be worn to make the boots fit better, however there is nothing that can be done if they are too small. Always buy walking socks to wear with your boots because these are made from a breathable material also. Walking boots have soles with deep treads, ideal for both rough and slippery terrain. Something else that can help keep an even footing is trekking poles, or even walking sticks. Tilley Hats not just for sailing!